What a joy ... finally we are on our way to Santiago. 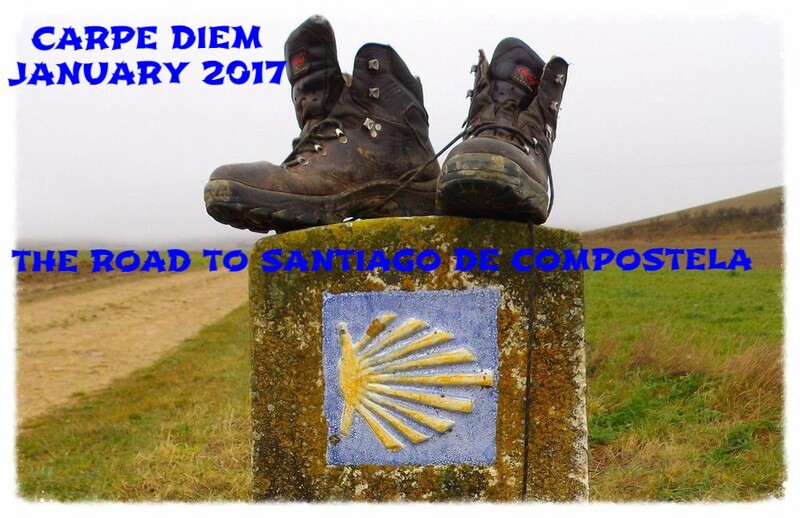 We have registered at the home of Mme Lourdes and now we are on our way like real peregrino's, pilgrims to Santiago. To start this episode with I have a part of the story we are reading "The Pilgrimage" to inspire you and with that part of the text I enclose a photo from the Pyrenees, because I love to challenge you to create a haiku, tanka or other Japanese poetry form inspired by the piece of text and the photo. So a kind of CD Imagination with a slight piece of CD Distillation (both are features here at CDHK). [...] "I left the small city, passing through the wall at the Spanish Gate. In the past, the city had been on the preferred route for the Roman invaders, and through that gate had also passed the armies of Charlemagne and Napoleon. I walked along, hearing the band music in the distance, and suddenly, in the ruins of a village not far from the city, I was overwhelmed by emotion, and my eyes filled with tears; there in the ruins, the full impact of the fact that I was walking the Strange Road to Santiago finally hit me. 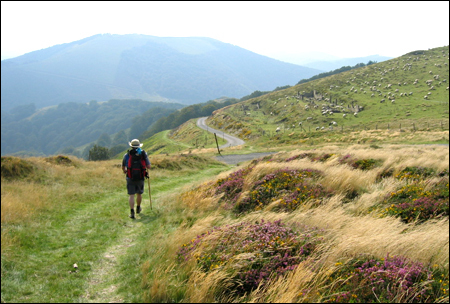 The view of the Pyrenees surrounding the valley, lit by the morning sun and intensified by the sound of the music, gave me the sensation that I was returning to something primitive, something that had been forgotten by most other human beings, something that I was unable to identify. But it was a strange and powerful feeling, and I decided to quicken my pace and arrive as soon as possible at the place where Mme Lourdes had said my guide would be waiting for me. Without stopping, I took off my shirt and put it in my knapsack. The straps cut into my bare shoulders a bit, but at least my old sneakers were broken in enough that they caused me no discomfort. After almost forty minutes, at a curve in the road that circled around a gigantic rock, I came upon an old abandoned well. There, sitting on the ground, was a man of about fifty; he had black hair and the look of a gypsy, and he was searching for something in his knapsack. Well .... it's up to you now ... I wasn't inspired, so maybe you can help me to find the inspiration. This episode is open for your submissions tonight at 7.00 PM (CET) and will remain open until January 9th at noon (CET). I will post our next episode later on.